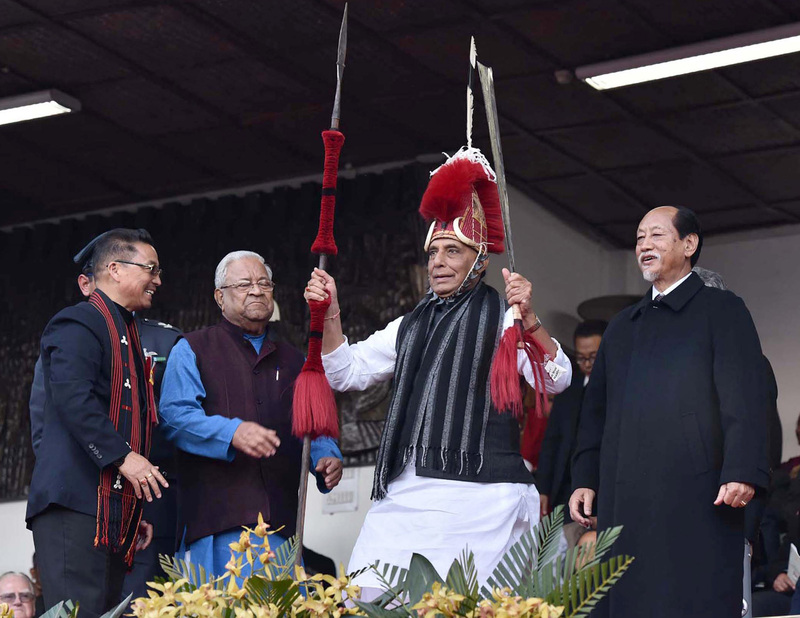 Home Minister Rajnath Singh has said Indian social fabric has not been affected by the emergence of the Islamic State. “I am, however, happy that Indian social fabric has not been affected by the emergence of the Islamic State and I am sure this will not have any further impact in our country,” he said. Addressing the fourth counter-terrorism conference — ‘Changing Contours of Global Terror’ — Singh, without taking Pakistan’s name, said some countries are providing sponsorship and safe havens to terrorists and this has further played a major role in the phenomenal growth of terrorism globally. “Radicalisation of populace, particularly youths, is another trend and one of the most challenging problems being faced the world over. “Several countries in the world have identified the problem and have taken measures to check and control the process of radicalisation and I am happy to state that India has timely busted some modules that were planning to orchestrate terrorist attacks on her soil,” he said. The home minister said providing sponsorship and safe havens have further played a major role in the phenomenal growth of global terrorism. In addition, state support has granted terrorist groups access to resources, guidance and logistics, which would normally be beyond their capabilities, Singh said. “Any effort to counter the activities of terrorist groups carries the danger of placing the victim nation in direct confrontation with the host nation and its resources,” he said. Singh said in the recent years, the perception of global terrorism has undergone a massive makeover with the rise of armed terror groups especially in the Middle East, South Asia and Africa. “This phenomenon could be attributed to the diminishing control in the terror space of the Al-Qaeda leadership, which just a decade ago was the face of terrorism. The shift of AQ Network from the Middle East to South Asia is a phenomenon, which is of serious concern to India,” he said. The home minister said a new dimension of terrorism is the networking of terrorist groups with the criminal underworld including organised crime gangs, gunrunners, smugglers, drug peddlers, with hawala and parallel banking channels being used for global flows of finance. “It has enabled global terrorist groups to use the infrastructure and terrain knowledge of local outfits for launching attacks in countries, despite having no presence in the area,” he said. The home minister said the government has kept a keen watch on the growth of IS and their ways of using social media as a key tool for ideological indoctrination, recruitment and networking by targeting young generation and intellectual Muslims. “The potential threat posed by the ISIS are large-scale radicalisation of Muslim youths throughout the world, the rise in ‘lone-wolf’ and terror attacks by returnee foreign fighters to their home countries. The terror attacks in Australia and France are telling examples of such threat,” he said. Singh said IS propaganda has significantly altered jihadi discourse in India, which, so far, was rooted in grievances against the Indian state and society. The home minister said India has consistently taken steps to intensify and strengthen international cooperation through various means. Terrorism, in all forms, including, Left Wing Extremism and Insurgency, poses a challenge on the sovereignty of India and the country already faces a serious challenge due to relentless efforts of Pakistan-sponsored anti-India Islamist groups like the LeT, JeM, HUJI and Hizbul Mujahideen, he said. Singh said the emergence of India at the global level is also being challenged by the terrorist groups, due to its vibrant economy and plural character.